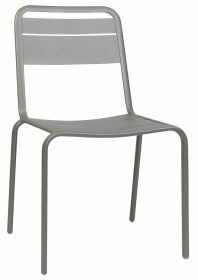 Nassau Outdoor Café Chair is a one-piece chair in polypropylene reinforced with glass fibre and made using the injected air-moulding technology that makes it sturdy and light at the same time. Rounded lines, a simple design and curvaceous shapes identify its character, Nassau Outdoor Café Chair is conceived for an indoor and outdoor use. 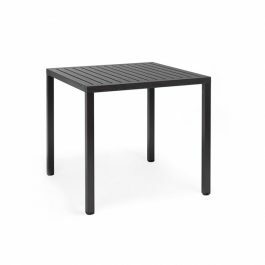 When it rains the Cube Outdoor Table doesn’t stay wet, water won’t pool on top, it simply passes through the resin slats on top making it an ideal choice for an outdoor environment. 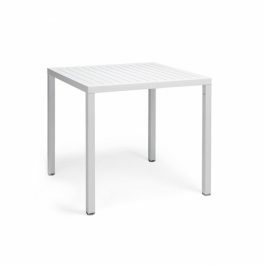 The Cube Outdoor Table features a resin (polypropylene) top with UV additives and is uniformly coloured so it won’t fade in the sun. 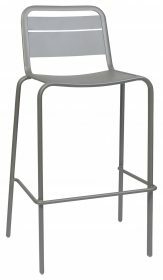 Suitable for indoors and outdoors, the legs are coated aluminium and have four adjustable feet. Great for those hard-to-buy for beach side salt air spots! 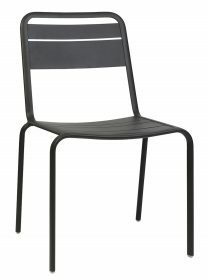 The metal Lambretta Outdoor Café Chair is equally at home outdoors or in! 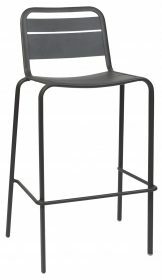 Modern and fun, Lambretta Outdoor Stool 750mm is designed for use in pavement cafes, terraces or patios. These stools feature a strong weather-resistant and virtually maintenance free construction.